The High Costs of Mesothelioma Care | The Williams Law Firm, P.C. While there is no cure for mesothelioma, the cancer caused by asbestos exposure, there are treatment options that can improve a patient’s quality of life and extend lifespan. Mesothelioma treatment may include a combination of surgery, chemotherapy, radiation therapy and medication. The costs associated with mesothelioma care can quickly lead to financial hardship for mesothelioma patients and their families, even if some expenses are covered by insurance or through government programs such as Social Security Disability or Veterans Affairs disability benefits. Many asbestos exposure victims seek the help of a mesothelioma attorney to obtain compensation from asbestos trust funds to offset these expenses. The costs of mesothelioma care can top $1 million, but financial help is available for many asbestos exposure victims. Following is a closer look at some of the costs linked to the primary forms of mesothelioma treatment. Keep in mind that individual treatment costs and the prices of medical services can differ greatly, and that mesothelioma treatments are often used in conjunction with one another. Surgical treatment is especially beneficial for those in the early stages of pleural mesothelioma, which affects the lungs and is the most common type of mesothelioma. Surgery to address pleural mesothelioma is similar to surgery used in the treatment of other lung cancers. According to a 2018 Business Insider report, lung cancer treatment is among the most expensive surgical procedures and has an average cost of nearly $20,000 per stay in U.S. hospitals. Chemotherapy treatment employs various medications to kill cancer cells and help limit the spread of cells throughout the body. Chemotherapy may be administered as a single treatment or as a complement to surgery or radiation therapy. A 2017 U.S. News & World Report article about the rising costs of cancer treatment found that the average cost of chemotherapy drugs was nearly $10,000 per month with some as high as $30,000 per month. There is no cure for mesothelioma, but MRI-guided radiation therapy is one treatment option to extend lifespan and improve quality of life. Radiation treatment for mesothelioma consists of high-dosage, targeted radiation to destroy cancer cells and reduce tumors. Radiation may be used as a singular treatment or administered following surgery to reduce the risk of mesothelioma cell recurrence. 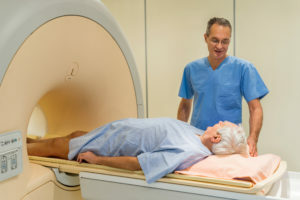 According to a review of Medicare reimbursement data by the health publisher Medscape, the average cost for a single course of radiation therapy relative to lung cancer treatment was about $9,000; other estimates indicate that radiation treatments for mesothelioma patients could reach $50,000. 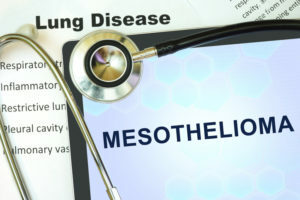 Compensation is available for mesothelioma patients, including money from asbestos trust funds that were established to pay asbestos-related health claims on behalf of companies that manufactured asbestos or used asbestos-containing products. If you or a loved one was diagnosed with mesothelioma, The Williams Law Firm is here to help. Led by accomplished mesothelioma attorney Joseph P. Williams, The Williams Law Firm has recovered hundreds of millions of dollars on behalf of asbestos exposure victims. Our legal team understands the challenges faced by mesothelioma patients and their family members, and we provide aggressive representation to recover the financial security they need. The Williams Law Firm offers free, no-obligation consultations to help you understand your options. We’re available to meet you in the comfort of your home or to connect via video. Please call us today at 855-575-MESO (6376) or contact us online. The Williams Law Firm is based in New York, but we are dedicated to helping mesothelioma patients across the country.